And it’s a pretty deep field this week too, as players have decided to play the week before a Major as a final tune-up heading into Augusta. While the field won’t have Tiger Woods, it will have many other of the game’s top players ready to tackle the golf course. Such names include Phil Mickelson, Lee Westwood, Steve Stricker, defending Masters champion Charl Schwartzel, Graeme McDowell, Ernie Els and more. So with a strong field, one could expect that the odds at the top of the field will be pretty tight. And assuming that would be correct. But it’s not Mickelson who gets the edge as the favorite, it’s actually Westwood, the No.3 ranked player in the world, the highest ranked player in the field this week, with Luke Donald and Rory McIlroy taking the week off to prepare for Augusta. Westwood is set with odds at 10/1 to win the Shell Houston Open this week, and placing a wager on him would be pretty smart. Westwood has been playing well this season, and putting himself in position to win. Just behind Westwood is Mickelson, who hasn’t been able to get things rolling and gain some momentum lately. 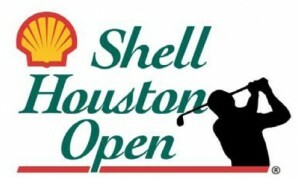 But the Shell Houston Open could be the tournament to do it. Mickelson has won the week before the Masters, and then won the Masters the next week, which is exactly what he will be trying to do beginning on Thursday. Lefty isn’t far behind Westwood this week, going off at 12/1 on the latest PGA Betting Odds to win the Shell Houston Open. Of course, the highest ranked American many forget is Steve Stricker, who will be playing in just his fourth event this season. Stricker is ranked No.5 in the world, and already has won once this season out of just three tries. Rounding out the top-five favorites this week is the man who will be defending his title from a season ago next week at the Masters in Charl Schwartzel, going off at 18/1. Hunter Mahan comes in fifth overall, set at 20/1.